Home > Buying a House > What Is an Offset Mortgage? A mortgage generally represents the most significant debt for any household. The repayments on such a debt can be crippling, especially in these times of heightened financial uncertainty and potentially rising interest rates. As such, a means by which interest rates can be lowered and the debtor can therefore save money are always welcome. Offset mortgages are a potentially effective way to reduce the size of your mortgage and, as a result, pay off the debt more quickly. 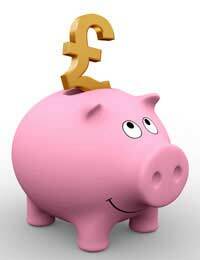 Offset mortgages work on the basis that most mortgage debtors also have savings. Few, however, realise that these savings can be used to save money on their mortgages, by ‘offsetting’ them against this debt. The size of the savings is unimportant, although obviously a larger amount will have a greater effect. Offset mortgage providers calculate interest every day, meaning that even the smallest of savings or deposits can have a significant impact. There are two main types of offset mortgage, with most mortgage providers offering one of the two. The first is a Current Account Mortgage (CAM). This directly links your current account to your mortgage, meaning that both accounts are managed simultaneously and the total balance appears on one statement. If, for example, you have a £100,000 mortgage and deposits in your current account totalling £5,000, your CAM account will appear to be overdrawn by £95,000. While this may provide an unpleasant jolt each time you check your balance, it should ultimately save you money as interest will be calculated on the outstanding balance (£95,000 in this example) on a daily basis as with a regular overdrawn current account. The second type of offset mortgage works in precisely the same way, but your savings or deposit account is managed separately from your mortgage. As such, you will receive a separate statement for each account. As with CAMs, however, the savings are offset against the debt and the interest is calculated daily. The benefit of an offset mortgage will depend on the type of mortgage and amount of savings you have. If yours is a repayment mortgage, you will still have repaid the entire debt at the end of the mortgage term. However, the savings that you have offset against your debt will reduce the total amount that you owe; as such, the mortgage will be paid off more quickly as you will be paying more than the agreed minimum repayments each month. Depending on the terms set out by your mortgage provider, this is also likely to mean that you can release capital from your home without being forced to remortgage. It should be remembered, however, that interest rates offered on offset mortgages tend to be less favourable than the introductory rates offered by traditional mortgage providers. As such, unless your savings or deposits are of a significant amount, you may find that it is ultimately more beneficial to switch providers regularly in order to keep taking advantage of these special rates. If you have a large amount in savings, however, you should seriously consider an offset mortgage as a means of saving money in the long term.